MOST PEOPLE BELIEVE THAT student loans cannot be eliminated in a bankruptcy. However, this perception is not accurate. Though it is very difficult to obtain a discharge on student loans, it is possible. To discharge student loan debt in chapter 7 or chapter 13, an adversary proceeding must be filed. In this special proceeding, the person with the student loan debt must satisfy a 3-part test to discharge student loans through the bankruptcy. TO SATISFY THE MINIMAL STANDARD REVIEW , a person attempting to discharge a student loan in bankruptcy must prove that he/she cannot maintain a minimal standard of living for his household (spouse & dependents) if forced to repay the loans. 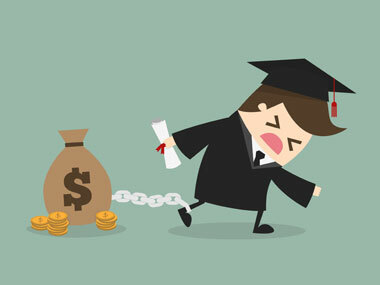 THE PERSISTENCE REVIEW must establish that circumstances exist indicating that the inability to maintain a minimal standard of living if forced to repay the student loans, is likely to persist for a significant portion of the repayment period. TO MEET THE GOOD FAITH EFFORT REVIEW it must be proven that the person that owes the student loan has made good faith efforts to repay the loans. Good faith is measured by the effort to obtain employment, the ability to maximize income and minimize expenses. Many other factors are explored to determine good faith effort. For instance, the effort to repay and attempts to negotiate a repayment plan will be evaluated. BECAUSE OF THE COMPLEX and adversarial nature of whether or not a student loan can be discharged in a bankruptcy, a skilled attorney-lawyer is critical to success. Our attorneys have the experience and reputation necessary to properly handle your case. Call today for your free telephone consultation to determine how the law firm of Barr, Jones & Associates can help you get back on the road to a financial fresh start.